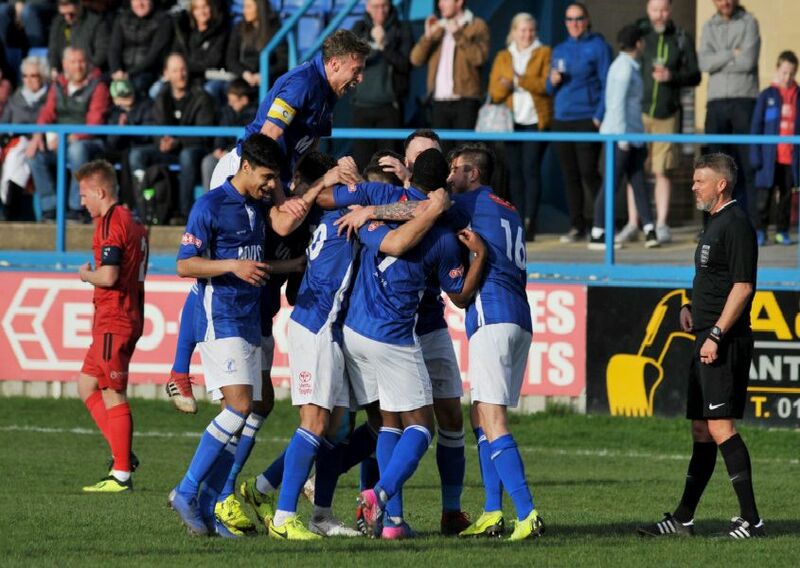 A terrific goal by Jonathon Margetts helped Matlock Town earn a 1-1 home draw with Mickleover Sports in the Evo-Stik NPL Division. Match photographer Rachel Atkins captured some of the action in this match gallery as Mason Waren quickly levelled before Jake Scott was sent off late on for the visitors. Jonny Margetts hits a stunning goal to give Matlock the lead. Matlock's Craig Westcarr leaps for the ball. Nyle Blake stretches out for the Gladiators. Action from Matlock Town's 1-1 home draw with Mickleover Sports.